Józef Fiszer’s publishing house. “Moses’ Pentateuch” is published, “translated and elucidated according to the best sources by Dr I. Cylkow”. The book was “funded by the Translator”. Translation of the Torah – the most important five books of the Hebrew Bible – was not the first project of the author. In 1883, the print shop of Aleksander Gins publishes “Psalms”, also “translated and elucidated by Dr. 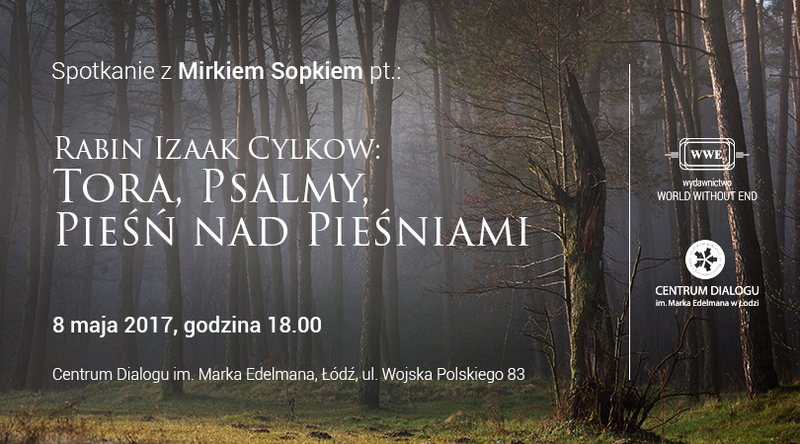 I. Cylkow”. Neither was it his last – at the turn of the 19th and 20th centuries, he published the majority of Księgi Prorocze (Newiim) and Pisma (Ketuwim). Several books were published already after his passing, while the books (Pisma) of Daniel, Exra, Kronik and Nechamiasz, which complete the translation of the entire Tanach (meaning all books of the Hebrew Bible) left by Cylkow in manuscript, were lost during the destruction of Warsaw… Apart from biblical books, Cylkow also translated the Machzor prayer book, as well as Sermons and Teachings. Today, the publishing of Cylkow’s works (as facsimile) is undertaken by the Cracow-based publishing house Austeria. Consider the context of Cylkow’s work – both personal and historical. It is beyond doubt that the translation of the Pentateuch was the most important effort in his entire career as a translator. The basic meaning of the Torah for the Jewish people requires no explanation. Its translation to the Polish language however – especially in the curious circumstances that Poland found itself in at the end of the 19th century, deprived of statehood for the previous 100 years – was indeed an extraordinary endeavor. It combined an adherence to the Jewish tradition and religion with a passion for the Polish language – a mother tongue for an enormous part of the community of Polish Jews. The translation and publishing of the Pentateuch has historical and political significance, emphasizing the rabbi’s patriotic involvement. One cannot help but notice this in the context of the astounding event that took place on September 26th, 1878. During the ceremony of the opening of the Great Synagogue, Rabbi Cylkow, despite a rigorous prohibition issued by the Tsarist government, gave a sermon in Polish – and by doing so, he enforced the government’s acceptance for this practice! At the age of 13 (in 1854), Cylkow’s entire family moved to Warsaw, where Izaak’s father became a Talmud teacher in the Warsaw Rabbinic School. The young Izaak obtains education there as well. After graduating from the Rabbinic School, Izaak joins the Tsarist-Royal Medical-Surgical Academy in Warsaw, with the intention of becoming a doctor. However, he soon changed his mind and, with the help from his father, leaves for Berlin for a foreign stipend. In Berlin, he finalizes his university career and obtains a doctorate in philosophy and linguistics. He returns to Warsaw in the year of the January Uprising (1863) and begins social work. He becomes a supervisor of Jewish schools for children, and begins preaching in the synagogue at Daniłowiczkowska street. Together with other exceptional representatives of the Jewish community, he helps in reforming the Warsaw Talmud-Tora schools, and revives religious classes for children by the synagogue. 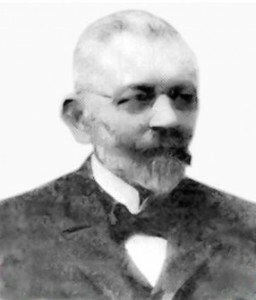 The list of activities of Izaak Cylkow is long; however, it is his work on translation of the Psalms, the Torah and all remaining books of the Tanach that is certainly Cylkow’s greatest achievement and the true work of his life.